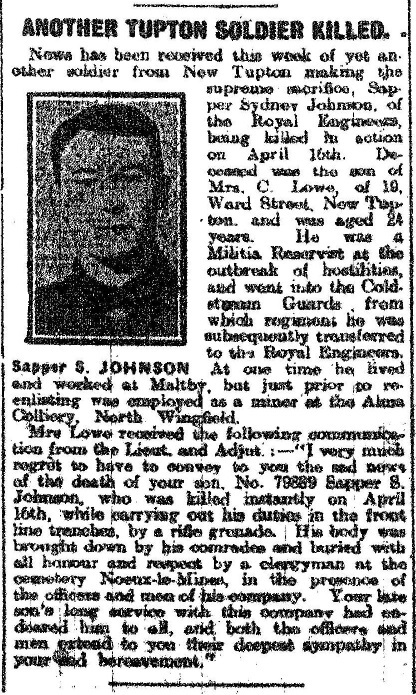 Date & place of death/details 16/4/1916 Aged 24. Killed in action by a rifle grenade. Parents names Illegitimate son of Mary Fisher. Mary Fisher married Cyril Lowe in 1898. Grave location or memoria location Buried at Noeux-Les-Mines Communal Cemetery, France. Any other information? Believed he took his father's name, as opposed to his mother's maiden & married name. Was a militia reservist at the start of the war. 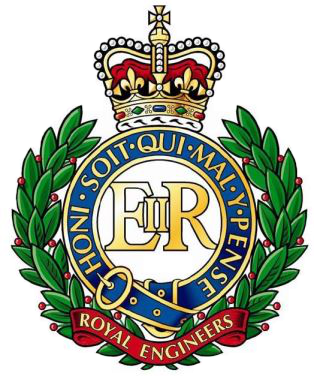 Originally enlisted into the Coldstream Guards, then transfered to the Royal Engineers. 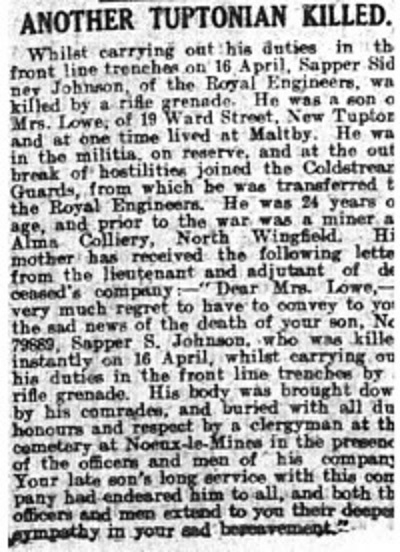 He had a letter published in the Derbyshire Times on 5 June 1915. Pre war occupation was a miner at the Alma Colliery, North Wingfield. Given the information available it is likely that Sydney Johnson was entitled to the Victory medal, also called the Inter Allied Victory Medal. This medal was awarded to all who received the 1914 Star or 1914-15 Star and, with certain exceptions, to those who received the British War Medal. It was never awarded alone. These three medals were sometimes irreverently referred to as Pip, Squeak and Wilfred. 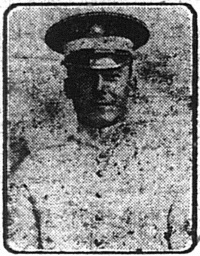 From the information available, it is very possible that Sydney Johnson was entitled to the British War Medal for service in World War One. This British Empire campaign medal was issued for services between 5th August 1914 and 11th November 1918.